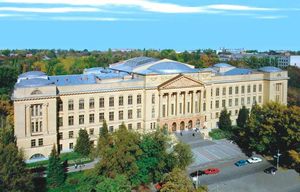 Studying, listening to professors and making new friends was my idea of fun as I worked towards a Bachelor's Degree (with Honours) in Computer Science at South Russian Technical University. There, my Diploma project opened a new universe for me - literally. I had the opportunity to work on a Spacewalk simulator and come face to face with a spacewalk suit. Floating in space with just a short tether tying you to civilization really makes you think about how much we depend on our technology! The Cathedral of St. Basil, Moscow, Russia. 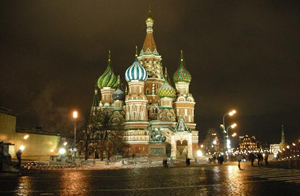 Those days were over, and in 2002, I got myself a one way ticket to Moscow. My first 'real world' experience involved working at a start-up developing corporate websites and online catalogues that out of my personal laziness included what's now called CMS. Should I mention that it was an exact replica of a DBMS in terms of UI, but luckily (or not so much so) people didn't complain about usability back then and anything other than 'Coming soon' or 'Under construction' on the homepage for many was good enough. 1 "How do you put an elephant in a fridge?" 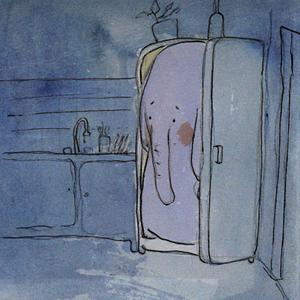 You either get a bigger fridge or a smaller elephant. Speaking in features, the "elephant" is a list of features and the "fridge" is development time (See #3 of How Hard Could It Be? : Five Easy Ways to Fail by Joel Spolsky, where he talks about something very similar). My next destination was i3DVR International Inc., in Toronto, Canada where I got to learn C#.Net and work on desktop and web applications such as CCTV, POS, Access Management systems, ATM, and CRM systems. One fateful day my manager came to my desk and asked if I had time to develop the database structure for a new card access system. I thought to myself, sure, what could be simpler? - User swipes the card, the door either opens or it doesn't, than I log it in the database! In reality, that marked the start of 2 extremely exciting years of design and development that involved developing a product from scratch, collaborating with a dynamic team of hardware and software developers, marketing and sales teams, a technical writer and training coordinators. Throughout this complex process, there were ups and downs and battles took place in boardrooms while - as one of my favourite says goes - "trying to squeeze an elephant in a fridge"1. This time around, I was really trying to direct the design of the product around humans, and not just a features list. About face 2.0 by Alan Cooper & Robert Reimann ("About Face 3" is now published). The book that changed the way I related myself to the users and users to the software I've developed. The Inmates Are Running the Asylum by Alan Cooper. The book I would recommend to read to anyone who has anything to do with the software business. Joel on Software by Joel Spolsky - the online resource where it all started for me. Interaction Design Practicum at Cooper. 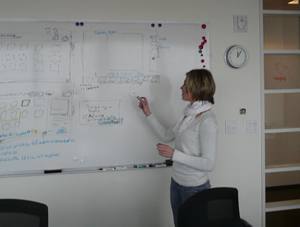 In December 2009, I went to San Francisco to attend the Interaction Design Practicum presented by Cooper, which is offered as a part of their Training program. I was very much impressed by the quality of the course including training materials, the number of topics covered, workflow, facilities and most of all the trainers. I got to meet wonderful people, learn and share experiences. I didn't end up in San Francisco by accident - as my career advances, I intend to make Interaction Design a big part of what I do. For the last couple years, I've enjoyed working as a freelance interaction designer and software developer. I've had a great opportunity to meet different people and work on fascinating projects. "Energy flows where attention goes" - it's amazing how I've had the opportunity to work with so many open-minded people, on so many interesting experiences, and in so many interesting places - all in the name of making a digital world a better place! Wherever I go and however I grow from here, I'm eager to continue applying the lessons I've gathered from around the world to the next episode in my life. PS: if you made it here, thanks for reading all the way!